(3) Recognition on the web as a collaborator. 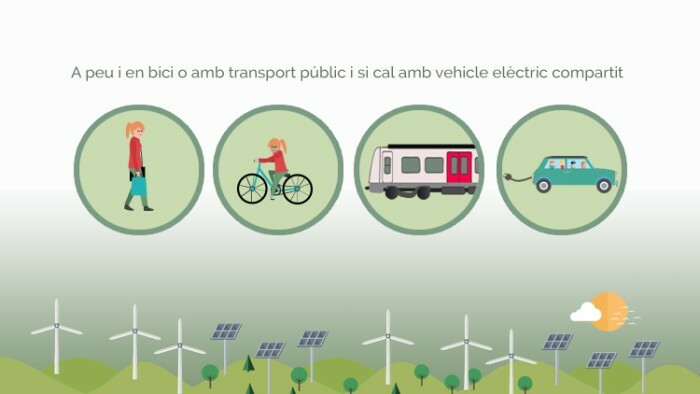 Open the platform to other sustainable mobility services so that they can be managed directly from the same application such as the rental of bicycles and electric motorcycles or the call of electric taxis. Build a system that connects all cooperatives to allow members to be able to use vehicles from one cooperative or the other. 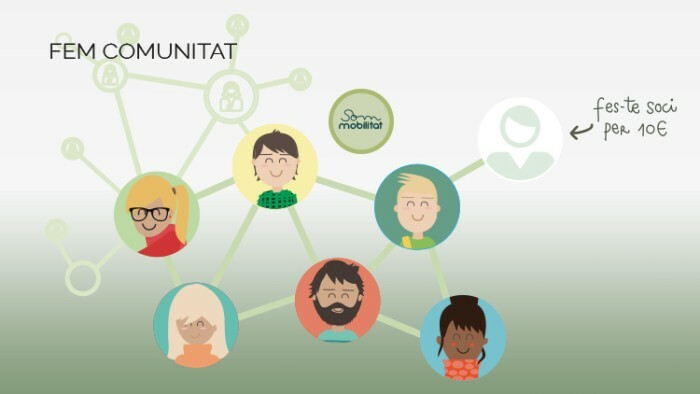 Once the four phases are covered, we will allocate the rest of the contributions to add a new mobility service to the platform to allow shared trips or to share common routes that reinforce the shared social and community values ​​throughout the cooperative network. 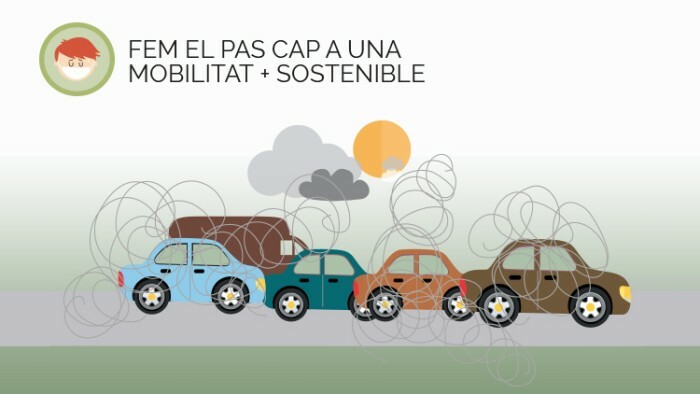 A Som Mobilitat non-profit consumer cooperative, we want cities with fewer cars, less noise and cleaner air. 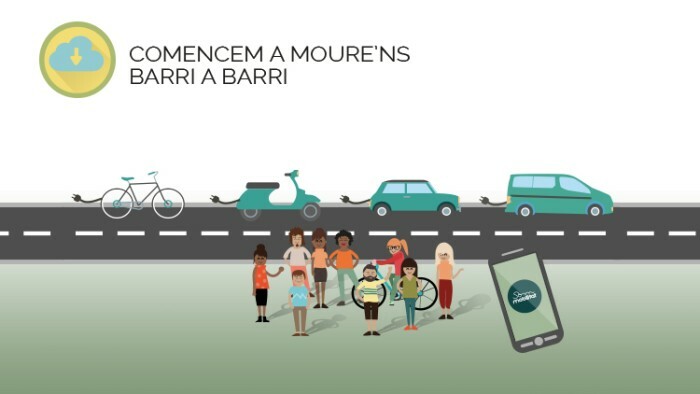 To this end, we are committed to developing a renewable, shared electric mobility service whereby you can rent and share electric vehicles from the cooperative or partners (p2p) through your mobile phone. In this way we will reduce the number of vehicles on our streets, noise and pollution and the effects they have on our health and climate change. Creating communities and applying technology we believe is the best way to be able to make a more sustainable mobility system. 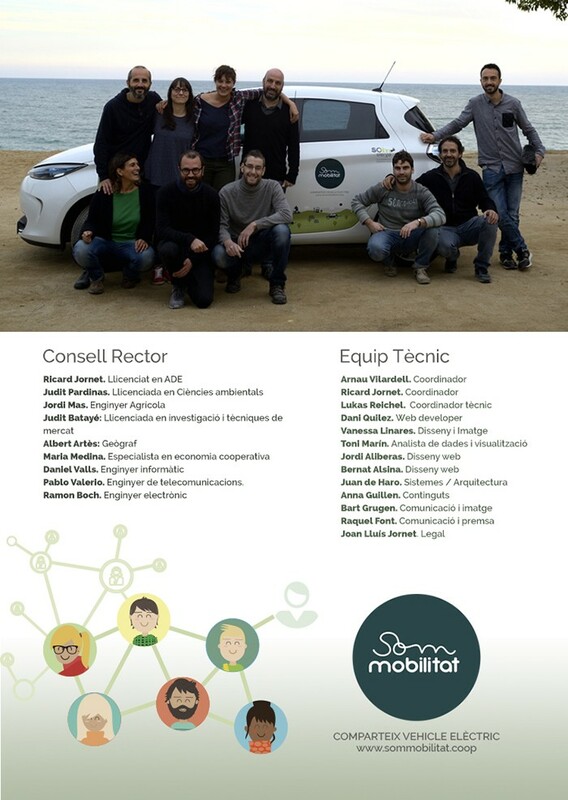 Som Mobilitat is currently working with Belgian cooperative Partago, the pioneer of shared electric mobility in Europe, to open its shared electric mobility platform in Catalonia starting in December. A platform that allows us to locate, reserve and open the car. But we do not want to sit still: We want to improve, open up and share the platform with all of Europe's electric mobility cooperatives to create a shared electric mobility network that allows us to travel across the continent by sharing electric vehicles. 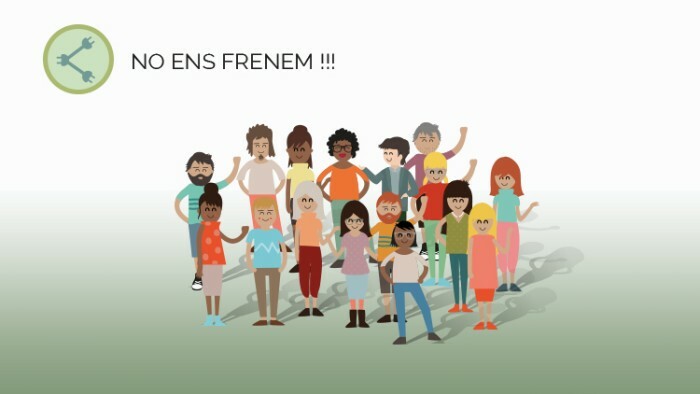 Currently, we are five cooperatives that have joined the project to share good practices and technology, but we need your help to continue financing the development of the shared electric mobility platform for European cooperatives. 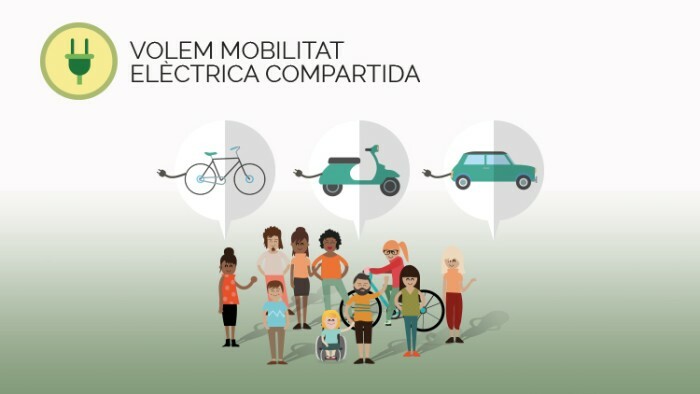 If all the electric mobility cooperatives move together, under the same technological umbrella, sharing digital tools, good practices, products and knowledge, we are convinced that we can build a successful project that through creating communities, will help to bring about Innovations in mobility frd groups who, like us, want a more sustainable mobility. 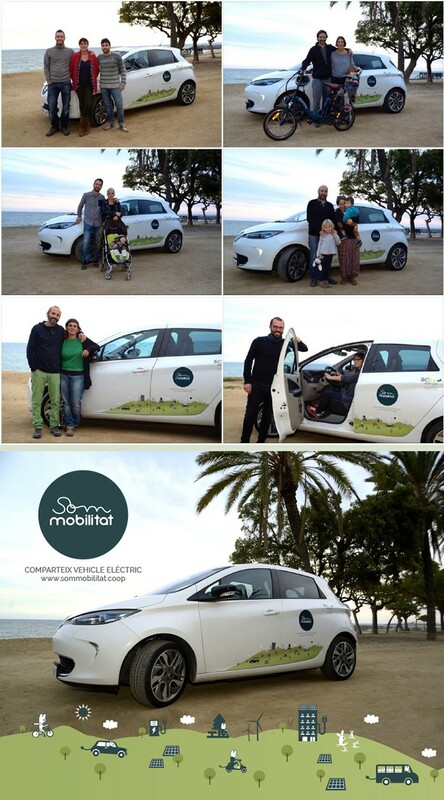 1.-To contribute to the development of the shared electric mobility (Som mobilitat) platform. 2- Financing the integration of the platform into a network of European cooperatives of electric mobility. We want to share our experiences in the creation and operation of a collaborative consumer cooperative with as many people as possible. 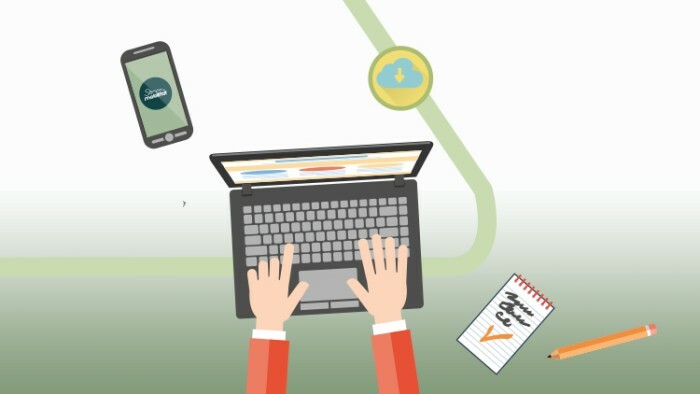 Whether in the field of mobility, or elsewhere, we think that the knowledge learnt through our experiences can be harnessed by other collaborative and social initiatives. 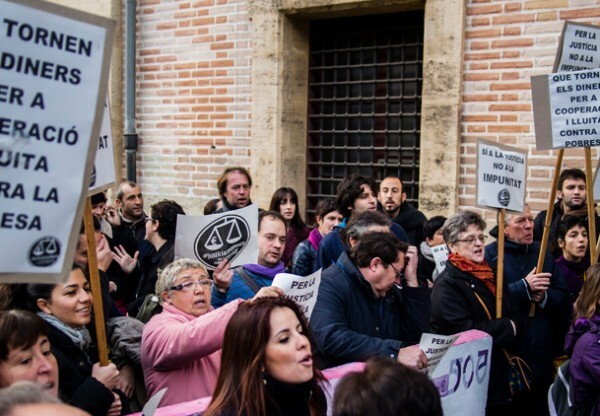 For this reason we offer to share the tools and everything we are learning in the creation of the cooperative to all of those collaborative and social initiatives that want to constitute a cooperative. 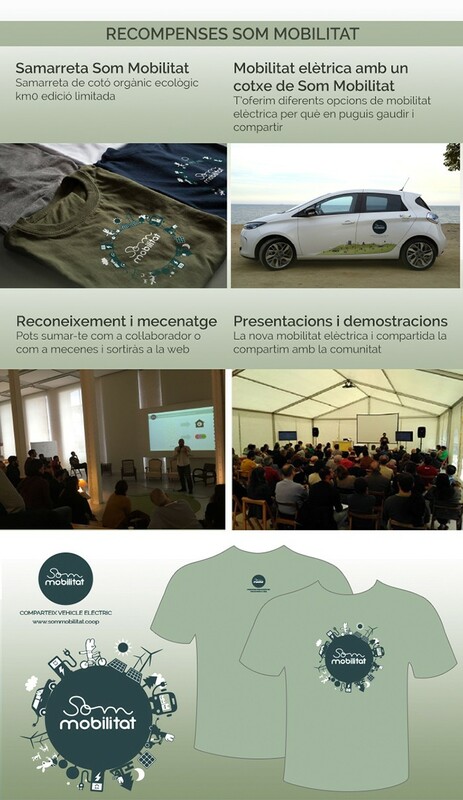 In the field of mobility we want to help using our own knowledge and experience to create new cooperatives of electric mobility in other communities of Spain to jointly promote projects of sustainable mobility and create, among all, a European network of cooperatives of shared electric mobility. 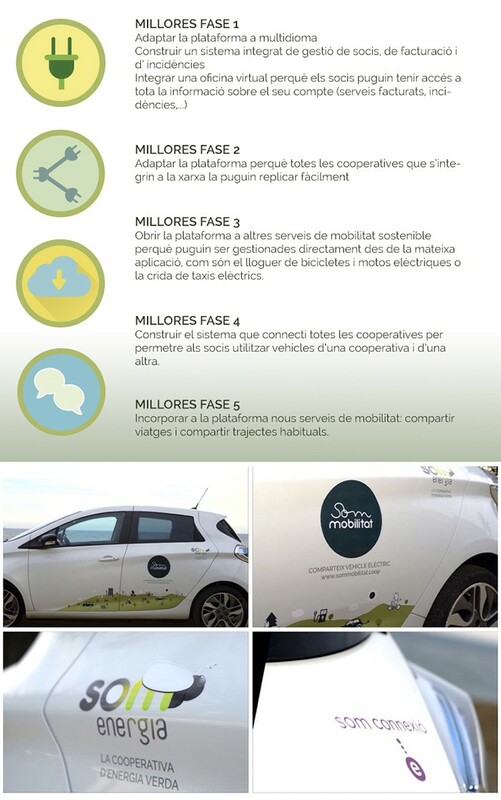 We want to share the platform and network with other cooperatives and thus create the European network of shared electric mobility cooperatives. 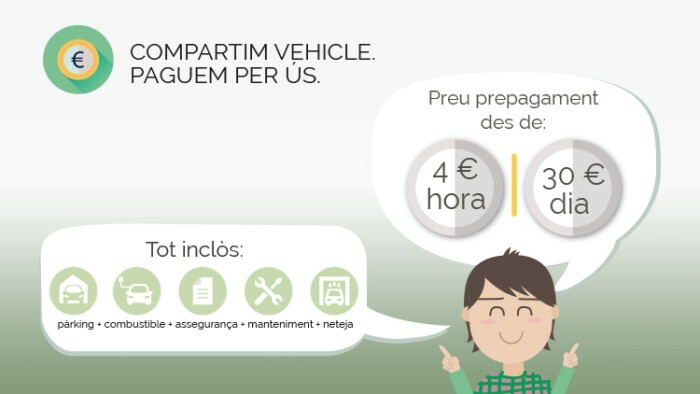 The aim of this network is to create a technological and social ecosystem that allows us one day to be able to travel throughout Europe sharing vehicle. 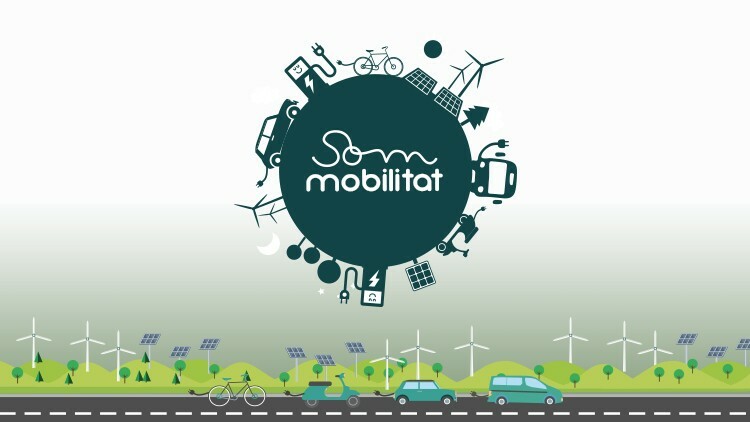 At the moment we are, Som Mobilitat in Catalonia, Ecotxe in the Balearic Islands, Partago and Courant d'Air in Belgium and Lochem Energie in Holland.